I've recently jumped on the band wagon of smoothie bowls. 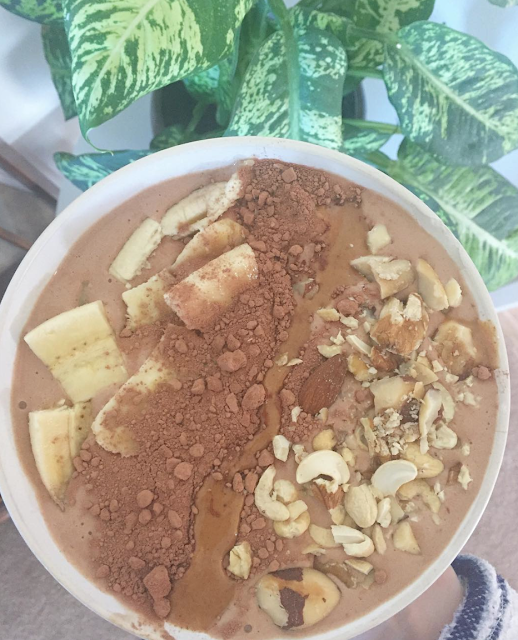 I love a smoothie and since purchasing my Nutri Ninja IQ back in January I've been making them none stop. I think the whole smoothie bowl thing intend of just a smoothie makes it feel like its more of a meal and less of just a drink. 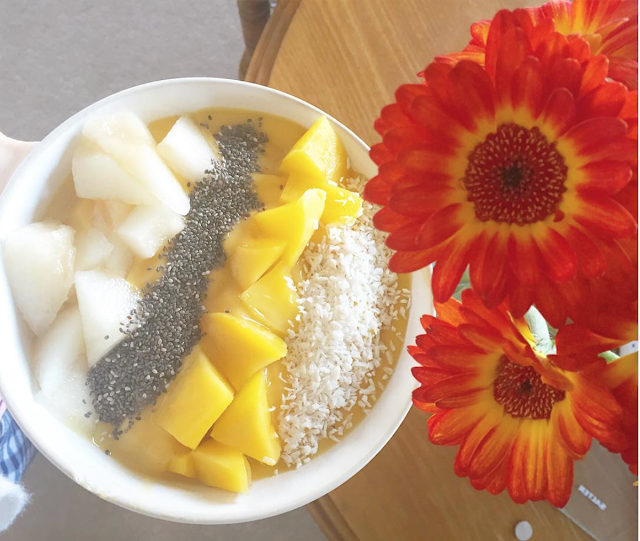 Lots of people enjoy smoothies for breakfast but i personally don't enjoy just having a drink i actually need to eat if that makes sense! 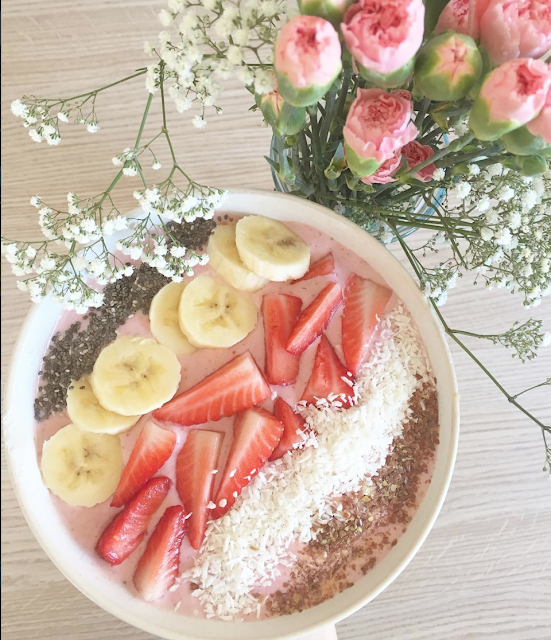 I wanted to share some smoothie bowl recipes I've been loving recently and with the warmer weather coming i think these would be great for anytime of day and so healthy even the kids love them! The quantity is based on yourself and the size of the jug your using and how many people you'd like it for. I also like to add in some frozen cherries. 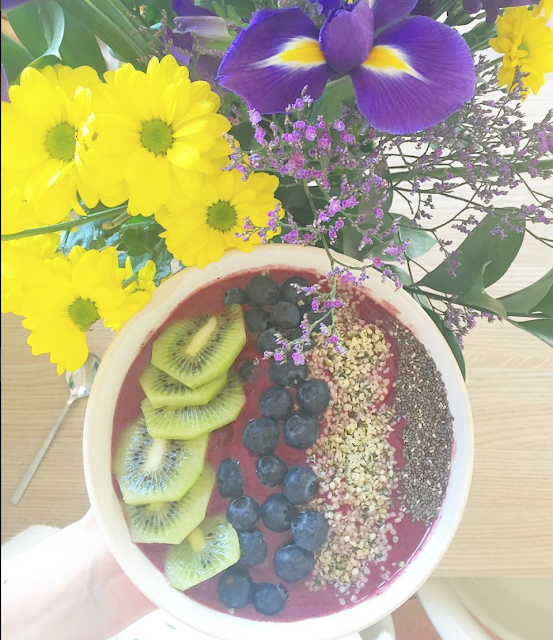 top up with a small amount of water remember the smoothie bowls need less water and becomes more of a ice cream / sorbet consistency. Vita Coco & pineapple water. I hope you enjoyed this post let me know if you give any of these recipes ago!